Young world. 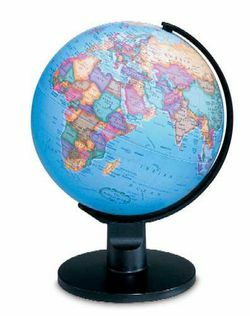 This 6" diameter blue ocean political globe with plastic black base and semi will stimulate three of the most important elements of children’s lives: entertainment, education and imagination. This simple but detailed globe will allow children to gain a perspective of the world.